APLV is primarily a Nicaraguan organization, but has a US 501(c)(3) fundraising arm and a similar French organization. We seek to be completely transparent in our use of funds. Read more about our history, governance, achievements, and partner organizations or contact us. 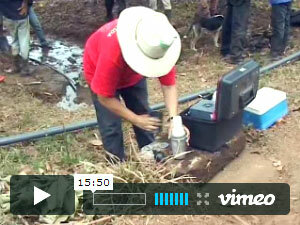 Help rural Nicaraguan communities construct their own sustainable water systems. For more giving options visit the donate page.